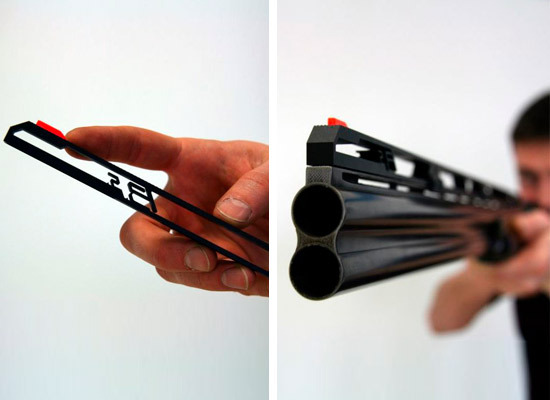 BridgeShoot is a universal rib made from an ultra-light ultra-tough material, Ergal. Once it is assembled on your shotgun, you can see the target more easily, follow its trajectory with a smaller movement that is more intuitive. IMPORTANT: You get all this without changing your shooting habits. Your eye instantly adapts. Based on the height and the adjustment of the swivel, BridgeShoot allows you to reduce the travel distance of the barrel when following the trajectory of the target, effectively anticipating the target and giving you more time to shoot. It is very hard to break a target but with BridgeShoot, it is a real pleasure! The head assumes and maintains a natural position during aiming and shooting, raising the precision rate of shooting to unbelievable levels. 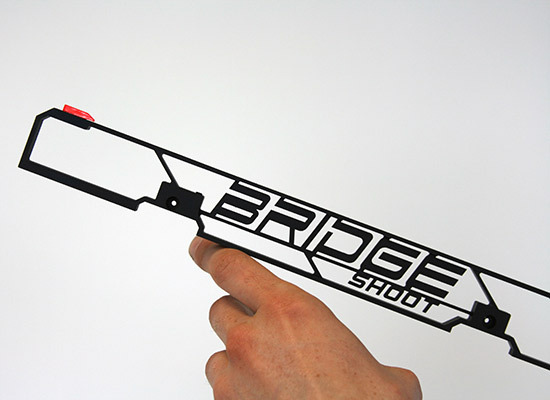 BridgeShoot, once assembled on your shotgun, allows you to see the target more easily, follow its movement with an infinitesimal movement. 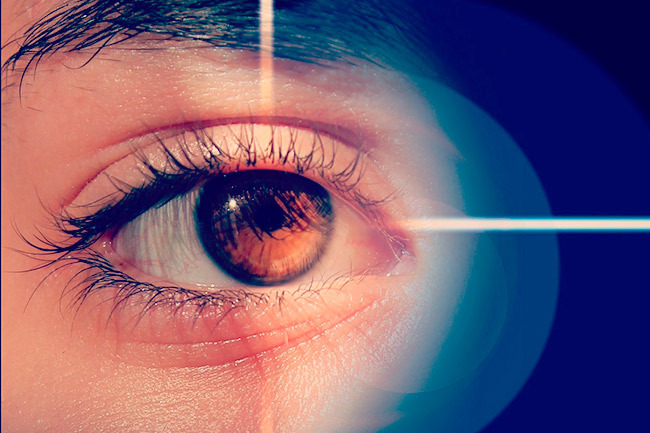 BridgeShoot minimizes performance anxiety: your eye is attentive through to the 25th target because it is less tired, and allows you to adjust the trajectory in advance and deferred. Perfect hits, even after the 23rd target. 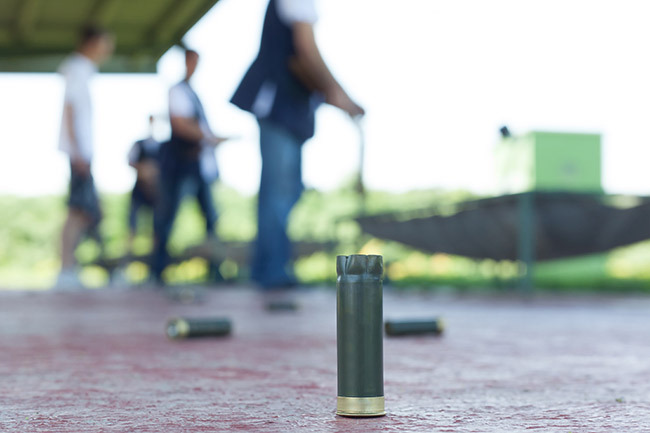 BridgeShoot allows you to have a wider view, where your face is not squished against the stock and is free from the shade of the shotgun projected on your eye that misleads your view of the target. 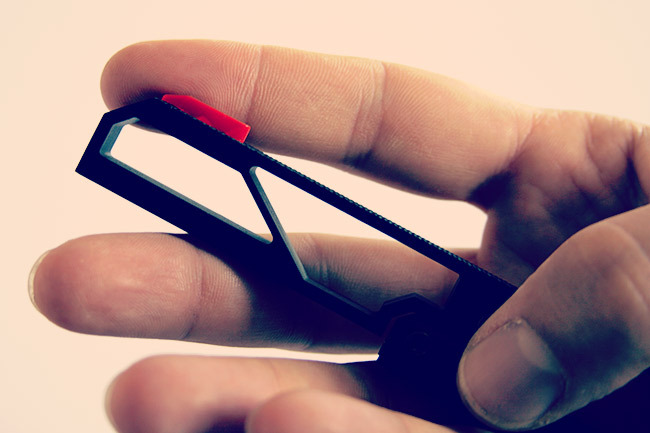 When you pick-up your BridgeShoot rib for the first time, you will be amazed by how light and elegant it is, and how easy and quickly it is to assemble. A new shotgun…without replacing your shotgun! 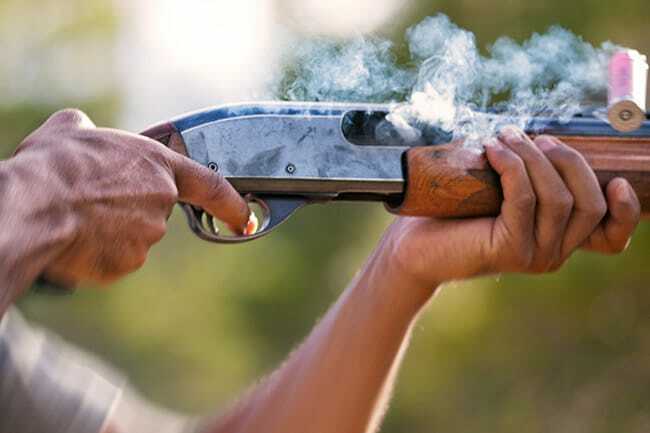 Using a BridgeShoot rib will be like trying a new shotgun without giving up your own and, above all, without spending a crazy amount of money. The reason for this advantage must be sought in a medical explanation: when we are on the shooting stand, we bend our neck over the shotgun to aim. This movement blocks the aorta, which brings blood to your eyes. So, towards the end of the competition, your eye’s performance starts to drop due to fatigue caused by insufficient blood flow to the organ, which should be relaxed to respond quickly. Furthermore, in this position, your face is squished against the stock, falling within the shade of the shotgun projected on the eye, which deviates the view of the target. 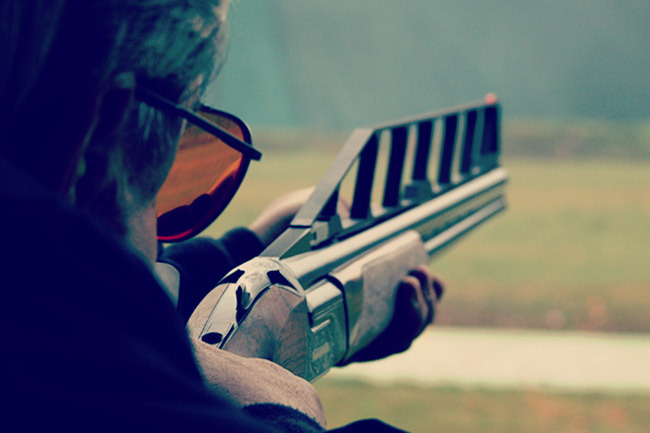 Basically, with BridgeShoot, your face must no longer be squished against the stock of the shotgun, so your eye undergoes less strain and consequently is less fatigued, ready. What material is BridgeShoot made from? All of the ribs in the wide BridgeShoot range are made from Ergal, an ultra-tough ultra-light alloy used in aerospace applications. The weight of this material is not much different from that of carbon, but the revolution is in the way these ribs are made technically: BridgeShoot ribs, compared to others made from carbon, which have a fuller shape, are completely emptied to reduce the weight. And you feel the difference right away. 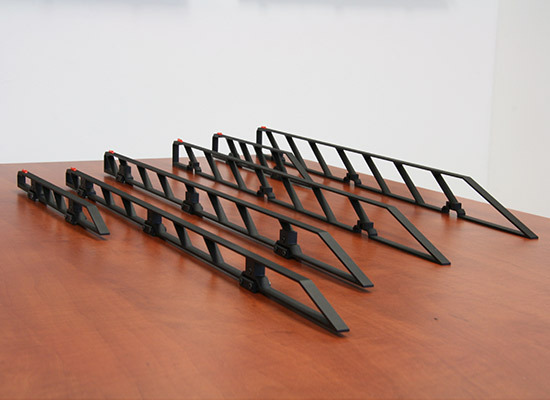 BridgeShoot ribs are made using almost exclusively high-precision wire EDM machining units. The fixing plugs are all made using CNC milling machines, with centesimal precision. EDM is a meticulous, slow process that allows you to obtain profiles with incredibly small and thin edges, making the BridgeShoot rib more attractive and much stronger. 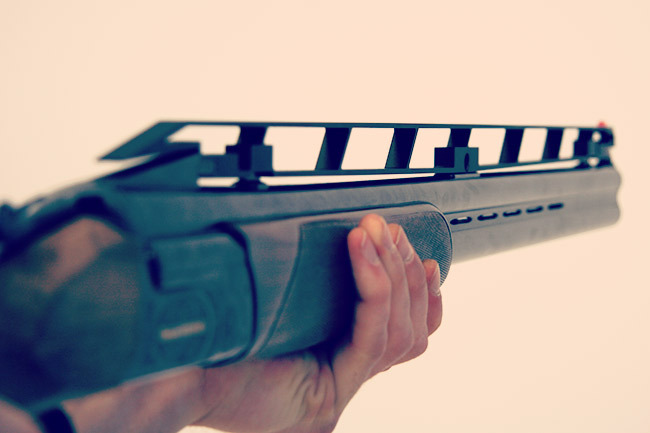 Discover BridgeShoot, the ultra-light rib that allows you to hit the target with maximum precision.